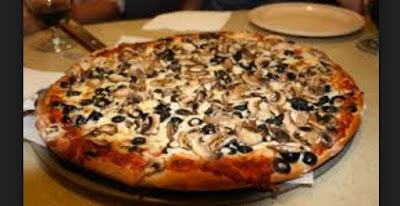 A Durban man who tucked himself in for a pizza lunch with his family was shocked to find what appeared to be a human tes_ticle blended in with the olives in his vegetarian pizza. Joel Erthney of Sydenham said he bought two large pizzas from a local pizza shop as a treat to his son who passed his exams with flying colors. Joel checked the pizza and indeed, a human tes_ticle was there. He immediately rushed his son to the hospital where he was attended to and discharged. The pizza shop, according to Joel, took the ‘sample’ and sent it in for lab testing. The results are expected within a month. Joel said he planned to sue.